When the time comes to swap out the snow & ice removal equipment for the lawn & landscape equipment don’t forget to take a some time to prep the equipment for storage. 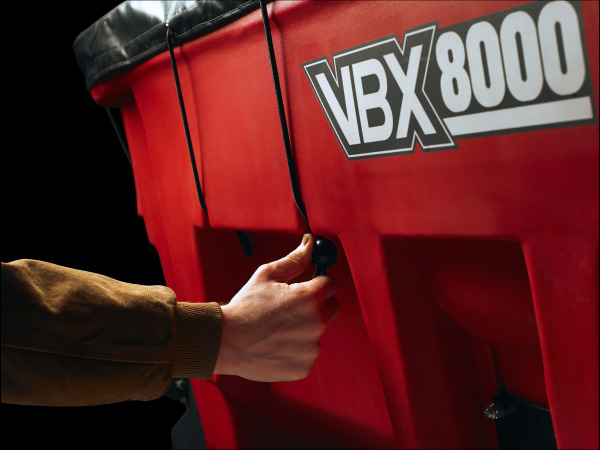 Properly storing your snow & ice removal equipment, specifically your Hopper Spreader, for the off-season will help extend the life of the product and ensure that it is ready to go when old man winter returns again. Use this handy step-by-step checklist for properly storing your BOSS Auger or Pintle Chain Hopper Spreader. Remove the rear spinner assembly, wash, rinse and let dry completely. This will be re-installed for final storage. CAUTION: DO NOT spray directly into any electrical connections or electric motor. Activate the dump switch to completely empty the hopper. Pintle Spreader: Remove the bottom drop pan, wash and rinse. This will be re-installed for final storage. Remove spreader from the truck using lift bars located on the top edge of the hopper at each of the four corners. Wash and rinse entire unit. Tipping the hopper up on an angle so that the water and material can easily flow out the end of the hopper opening. Remove rear black poly cover, wash and rinse the inside of the cover only. Wash and rinse all rear drive components. CAUTION: DO NOT spray directly onto any electrical connections or electric motor. Pintle Spreader: Remove pintle chain from spreader, roll up and fully submerge into a container of oil for storage (transmission oil is recommended). The pintle chain will be re-installed next season. Auger Spreader: Spray oil or similar lubricant the entire length of the auger screw, coating the screw and all fasteners. Clean and grease all bearings. Clean all exposed plow-side and truck-side connectors and apply dielectric grease. Remove spreader control from the truck cab and store in a clean, dry place. Once the Spinner Assembly and Drop Pan are completely dry, reinstall for final storage of the spreader unit.